Best-selling hip-hop artist Post Malone recently wrapped up the North American leg of his 2018 tour in support of his latest album, Beerbongs and Bentleys, which broke streaming records on Spotify the day it was released and zoomed to the top of the Billboard Hot 200. 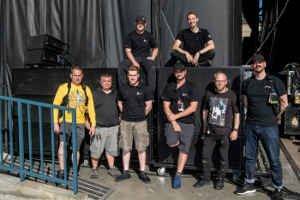 The 26-city tour of mixed arenas and outdoor sheds was supported by a massive Meyer Sound LEO Family reinforcement system supplied by VER Tour Sound. 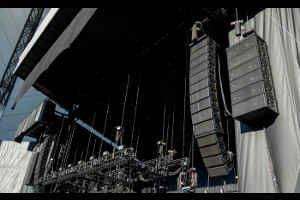 Though system configurations vary somewhat by venue type, with larger arenas and outdoor sheds the main front hangs are — per side — 14 LEO line array loudspeakers over four LYON-W wide coverage loudspeakers. Outfills per side are six LYON-M line array loudspeakers over six LYON-W, front fills are eight LEOPARD loudspeakers, and four UPJ-1P loudspeakers are available for utility fill. 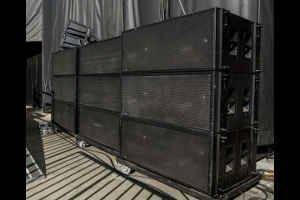 Chest-slamming bass is supplied by a total of 30 1100-LFC low frequency control elements: 12 flown and 18 ground-stacked. 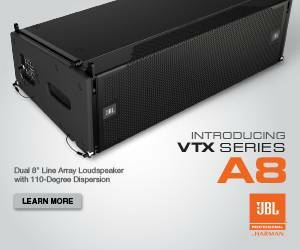 The VER audio crew was headed by systems engineer Kevin Valind, aided by PA techs Justin Stiepleman and Colten Mortensen. Under the direction of account manager Jeff Priepot, VER supplied a turnkey package that also included lighting and video. The Post Malone team was filled out by monitor engineer Blair Bondy and tour manager Kurt Kuehn. Creative direction was by Bobby Greenleaf, an associate of the artist’s manager, Dre London. The front end of the Post Malone tour was anchored by a DiGiCo SD10 paired with a fully-loaded Waves SoundGrid server. Vocal microphone for Post Malone was a Shure Axient digital wireless topped by a DPA d:facto capsule, with vocal processing via a Rupert Neve Designs Shelford channel strip.